Lottery scams have been around for as long as the players can remember and they grew at the same accelerated pace as genuine lottery providers. The vast majority of games are ran by straightforward rules, which demand players to buy a ticket and participate in a drawing in order to win a prize. 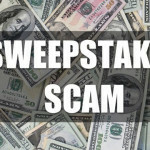 Sweepstakes offer freebies but they still require players to enroll and this is the niche that the ones running the Skype Lottery scams and other deceits are trying to exploit. 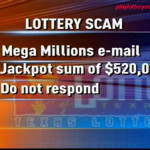 As the number of honest lotteries is on the rise online, cyber criminals know that the odds of sending scam e-mails to players are improving. They don’t mind targeting people who have no interest in playing the lottery and never bought tickets, because what they claim to be offering has nothing to do with reality. 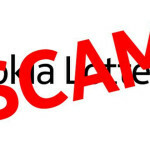 Skype Lottery scams are a relatively new addition, although law enforcement agencies and veteran players remember that the original was launched several years ago. One of the reasons for why the Skype Lottery scams have resurfaced is that the popularity of Skype is on the rise and more people know what the service stands for. Identifying the scam is fairly easy, because the entire operation begins with bogus e-mails that inform players about having their Skype account selected for a huge payout. They are provided with a fake winning reference and instructed to send this number to the claims agent on a specified e-mail. The odds of the recipient to be someone who has a Skype account is reasonable and the perpetrators count on the fact that a small fraction of receivers will respond. The next stage differs from case to case, but these cyber criminals have a somewhat similar modus operandi. Those who made the mistake of responding to the email and sent the reference code, are contacted by the scammers and asked for additional information. The first couple of e-mails are more or less harmless and they only try to gain the victims’ trust, while the next messages demand access to private information, and even the submission of small amounts. The wrongdoers explain the victim that the amounts are necessary for releasing the payout, and they consist mostly of bank fees and commissions. Once the payment is made, the victim is never let off the hook and if they get hold of his or her phone number, e-mails will be accompanied by phone calls and messages. They are relentless and keep pressuring them to send more money and in the worst cases, they even threatened them with legal consequences. By the time most victims ask the authorities for help, they had already lost a significant amount of money and went through tremendous stress. 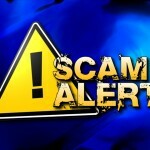 Check out the US Green Card Lottery Scams make victims each year as well.